Forex trading is the process of trading the foreign exchange market by speculators and investors. The foreign exchange market is the largest and most liquid financial market in the world with a turnover of $5.0 trillion a day in cash and derivative transactions and it is open 24 hours a day seven days a week. Because the currency market is highly liquid, highly volatile and moves on global news that affect the economies of countries where the currencies that are floated on the forex market come from, forex trading has attracted a lot of people, many of whom choose currencies as the preferred instrument for day trading from the comfort of their own houses. The advancement of technology that made online trading available just a couple of mouse clicks away and the possibility of leverage that is offered by forex brokers also attracted a lot of novice investors into the foreign exchange market. A crucial role in the life of every fx market trader is played by the broker and choosing the best forex broker is the task upon which the success or failure of a trader often resides. Among the main factors that define good forex brokers is the presence of an authorization from the proper regulatory body such as Commodity Futures Trading Commission or Financial Conduct Authority in the UK. The best forex brokers also provide trading platforms that are simple and easy to operate and navigate, but can also offer many tools that can be used for more complex trading strategies and technical analysis. Traders should also consider brokers’ customer support services, leverage options, deposits and withdrawals limits and fees. The best forex brokers, which are usually recommended by specialty websites provide all these features and to further diversify themselves from competition also offer decent bonuses. In the last couple of years, the forex brokers have taken notice of another emerging trend in the financial trading world: cryptocurrencies. With Bitcoin skyrocketing and recently passing $11,000 and other cryptocurrencies such as Ethereum, Dash, Ripple, Monero, etc. also registering solid gains, their popularity among traders has also increased, with many not only getting into cryptocurrencies for long-term gains, but also seeking opportunities to speculate on their changes. There are two ways on how to trade Bitcoin and other cryptocurrencies. One is to buy Bitcoin from a regular cryptocurrency exchange or a cryptocurrency broker. However, while this is a solid option that offers investors the possibility to hold the actual digital asset, it is costly, given the high Bitcoin price, requires security measures to protect the Private Keys for Bitcoins, which can be unrecoverable if the key is lost. In this way, while holding actual Bitcoins is a good move for long-term investors, it’s not the optimal choice for short-term traders seeking to earn profits on price fluctuations. On the other hand, as forex brokers have embraced cryptocurrencies, they opened a lot of possibilities for short- to medium-term traders. Many of the best forex brokers, such as HYCM, Pepperstone, Avarade, or eToro, offer trading pairs of Bitcoin/Fiat Money (usually USD), with some, such as Avarade also adding pairs that include Ethereum, Dash, Ripple, and other cryptocurrencies. What makes Bitcoin trading using forex brokers better than cryptocurrency exchanges is that traders don’t have to buy the underlying security, but instead trade using contracts for difference (CFD) or derivatives. 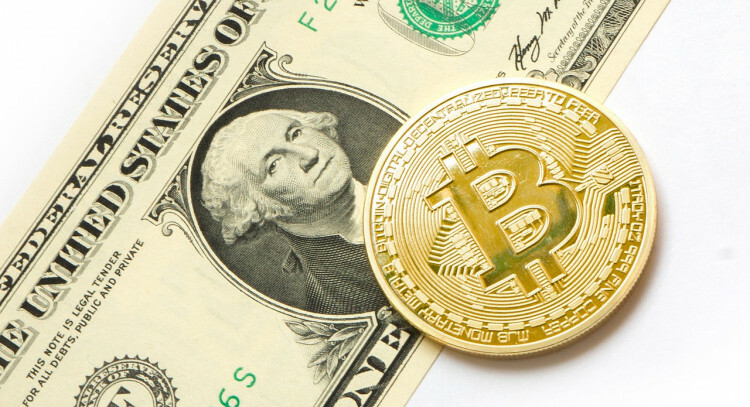 In addition, using forex brokers for Bitcoin trading gives access to leverage and lower initial investment requirements, as well as the possibility to trade either long or short. However, traders should also keep in mind that while leverage opens the possibility for higher profits, the losses can also be much higher. In addition, spreads (the difference between bid and ask prices) is higher when trading Bitcoin CFD or derivatives, which can offset lower transaction fees. In any case, for active traders that are interested in speculating on Bitcoin over the short-term, forex brokers are a better option compared to actually having to buy and sell the Bitcoin itself. However, as it is with the regular foreign exchange market, an important aspect of trading Bitcoin is picking the best forex broker.